First and foremost before you move it is most important that you do a lot of “first hand” research and not rely solely on internet web sites or discussion forums. 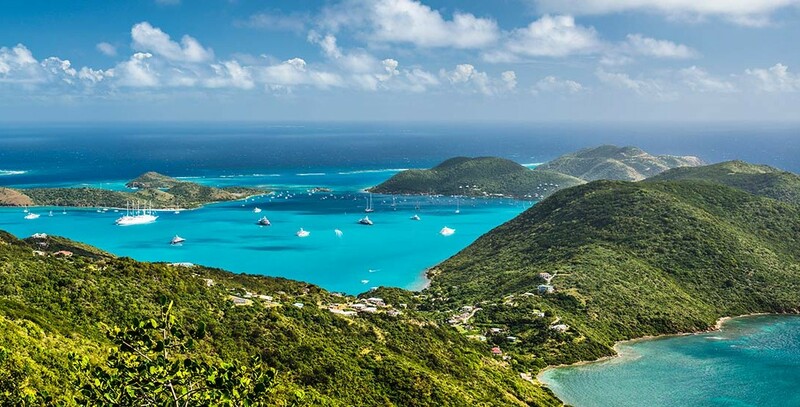 Islands vary in cost and some are deemed the most expensive destinations in the Caribbean so it is wise to look and compare all of your options. If you have never been out of the United States it is suggested you do a little international travel before you even consider relocating to another country. It is also important to determine what you are looking for and want from an island. It is highly recommended that you do not move to a country sight unseen. You will also want to acclimate your pet to traveling if your cat or dog is not used to being confined to a travel crate or if you are possibly may be susceptible to motion sickness. It is also wise to consider where you currently live and the airport accessibility. Some Caribbean islands offer direct flights from major cities in the US. You will want to factor in your desire to return to visit family and friends and the economical and logistical feasibility. Online you can find much useful information to get started. For example, www.vimovingcenter.com is a website geared toward living/working in the US Virgin Islands but is fairly applicable to any Caribbean location. You will want to take the time to carefully read through all of the information. Do google searches using such topics as “Moving to NAME OF COUNTRY”, “Working in “NAME OF COUNTRY” and visit the official government websites for the countries that interest you to find out what the immigration and working requirements are for that country. In most Caribbean countries you must apply for residency (to live) and obtain a Work Permit (in order to work). This can be a difficult procedure and one that requires advance planning. In most Caribbean countries you are going to find living expenses will probably be higher than they are “back home” while wages for comparable jobs will be lower. Living on a budget in the Caribbean can be difficult so it is a good idea to have money saved up to support yourself for at least six months to a year to make the transition easiest. Living in the Caribbean offers a unique set of challenges. For example, taking one’s car can become a hassle and expensive. If there’s a lien most likely your lender will not allow you to take the car out of the US. You may find the cost to ship your car and importation tax is higher than the car is worth and therefore makes more sense to buy one on the island. In addition, moving with a pet introduces another set of requirements and logistical planning. In many instances you will need to obtain an import permit for you pet, each pet must meet health requirements, It is a good idea to make multiple visits to the countries you are considering before finally relocating. It’s the only way you will get a feel for what life is really like and how it could be with a pet. Living/working in the Caribbean is different from visiting on vacation and daily life back in the US. It is a good idea to plan these pre-move visits anywhere from 2 weeks to a couple of months for each location. Immerse yourself in a daily routine with regular chores, household duties, and spend your time not as a tourist. You may want to consider renting an apartment or condo and getting a feel for true island living without all of the amenities and glitz of tourist based accommodations. This will enable you to find what part of the island you prefer and find the safest areas in which to live. Thorough research will help you to determine where and what will become your piece of paradise. You may enjoy checking out the HGTV series on Caribbean life. Read more on relocating and watch videos right online – http://www.hgtv.com/shows/caribbean-life. And another great resource is Islands’ article on the Living in the Caribbean: Our Top 10 Best Islands to Live On.